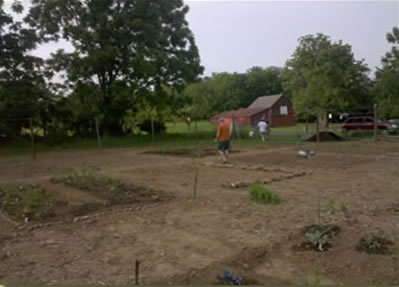 The Lehigh University Community Garden, 2010. Lehigh President Alice Gast created the Lehigh Environmental Advisory Group (LEAG) in January 2008. LEAG was created "to identify ways in which the university can improve its impact on the environment while also studying the complex issue on a national and global scale." LEAG, composed of faculty, staff, and student representatives, works on multiple campus-wide environmental issues. Since its inception, LEAG has worked with many groups and offices on campus to support the implementation of single-stream recycling; recycling of used engine oil, antifreeze and vehicle tires; the compilation of a Green House Gas inventory; the use of recycled papers and soy-based inks; and increasing the number of "green" office supply purchases. Recent initiatives include the creation of a Lehigh community garden at the Goodman campus, and the creation of the Green Fund, which provides small grants to students to fund new environmental projects.